There are other websites out there, but you should always check to make sure that the scholarship websites that you visit are legitimate. Important: Never pay for a scholarship website or application, and avoid giving out personal information such as your social security number. Apply for scholarships with lower dollar amounts too. Every dollar counts! Make a quota for yourself to apply for as many scholarships as you can each month. Check with your high schools, and local businesses to see what they have to offer. Stay persistent. The opportunities are out there! If you meet the majority of the scholarship requirements, apply for it. 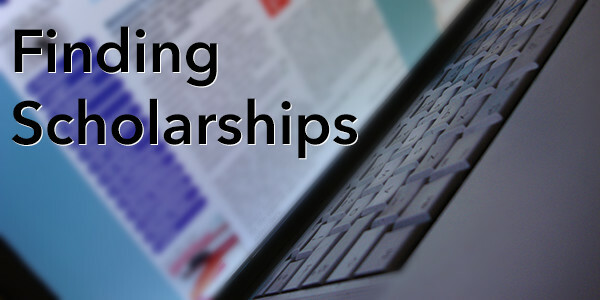 Scholarship providers will be looking at thousands of essays at a time, and applying for scholarships can be an overwhelming process to begin. As you go through your scholarship search, you will start to notice that many scholarship providers are asking similar questions. Over time, the process will become much easier since you will be writing and already have great essays written that you can refine and reuse. If you are hesitant about starting you can use the resource at CollegeScholarships.com as a guide. Make sure that your scholarship essays are original, and help the reader to understand your ambitions. You should also have someone proofread your essay to make sure that it flows and includes relevant information. Always remember, we are here to help you if you are unsure where to start! Southern Utah University has an awesome scholarship opportunity that you can apply for to help with your housing costs. The Leavitt Land Scholarship Housing application may be completed on November 1st. With this scholarship you will be placed into an off-campus unit, and have 75% of your total housing costs covered. The scholarship can be kept for up to four years, and you get to keep more money in your pocket! Make sure to apply by February 1st. Once you become a student at Southern Utah University, you will have an opportunity to gain additional scholarships through your department and from university donors. Make sure that you contact the head of your department once you are enrolled to create the relationships that will help you to network, to gain experience in your field, and to secure scholarships during your time at SUU. Once you get on campus, you will want to make sure to check in with the SUU Financial Aid Office periodically so that you don’t miss out on other scholarship opportunities. Make it your responsibility to understand your options once you become a student! You will also have the opportunity to get more involved through leadership positions and student clubs which can lead to additional funding and help build a strong resume.